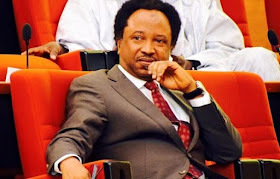 The Senator representing Kaduna Central, Shehu Sani, says the recent crisis in Plateau that led to the death of over 80 persons and destruction of no fewer than 50 buildings was one too many. Mr Sani said in a statement on Monday in Abuja that it was tragic and unfortunate that people were being killed daily in Nigeria. He expressed concern that while killings continued unabated across the country, the interest and attention of the political class were more on power and 2019 elections. “While governors danced and sang at Eagle Square, the lives of the governed were being wasted. “In Nigeria today, the life of the poor is cheaper than peanuts and Gala. We have become a nation in perpetual mourning and funeral service. “Enough blood has been spilled in Nigeria to touch the conscience of people in power, if at all humanity matters. “Until the ruling political elite raise the value of the lives of the underprivileged to equal that of the powerful and privileged, the systemic wastage of the lives of the poor will remain unabated. “The nation has lost its sense of outrage and we are tragically spreading red carpets and beating the drums of praises to leaders who woefully failed in their responsibilities,” the lawmaker said. He condoled with the families of the deceased, while praying God to rest their souls. The Police Command in Plateau on Sunday confirmed the killing of 86 people in attacks on Razat, Ruku, Nyarr, Kura and Gana-Ropp villages of Gashish District in Barkin Ladi Local Government Area of the state.